DELUXE PROFESSIONAL manicure and pedicure tools in a GENUINE COW LEATHER case, 100% MADE IN EUROPE! DON'T BE FOOLED BY CHEAP POT METAL TOOLS FROM CHINA! INVEST IN FORGED SURGICAL STEEL FROM GERMANY! Surgical (!) stainless steel : Our manicure tools are made from a top quality special stainless steel of 30X13 and 40X13 grades used in production of surgical instruments. A special (vacuum) thermal processing provides a high hardness of steel. This steel does not oxidize under different disinfection methods and offers a very high strength. 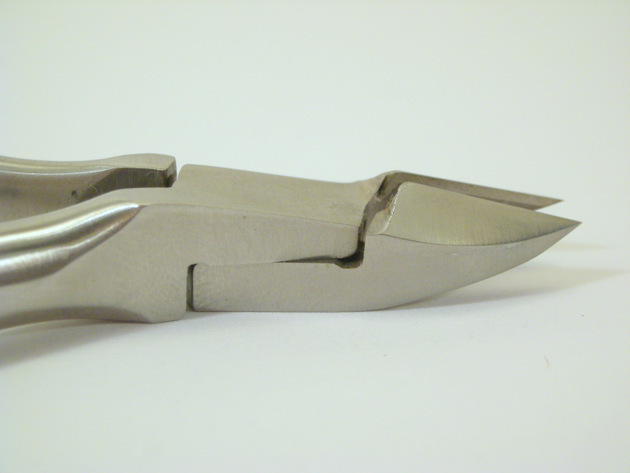 Because of a top quality steel, our manicure tools can be resharpened without loss of the cutting properties. - High-quality workmanship: Our manicure tools are hand sharpened on a diamond wheel by the qualified sharpeners. That is why our tools ensure the highest cutting properties! 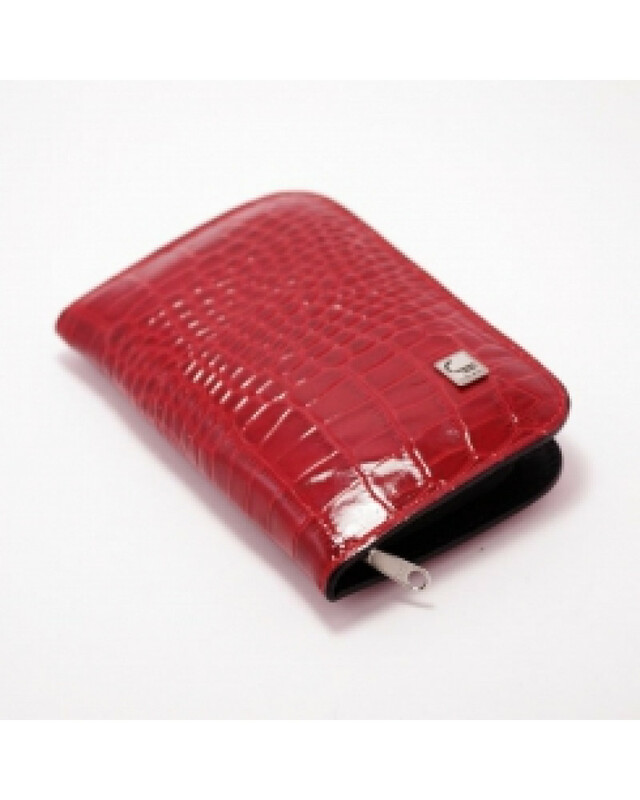 - Genuine leather and a luxury design : The textiles used in production of our manicure set cases are TOP QUALITY cuts of genuine leather - both outside and inside of the cases. 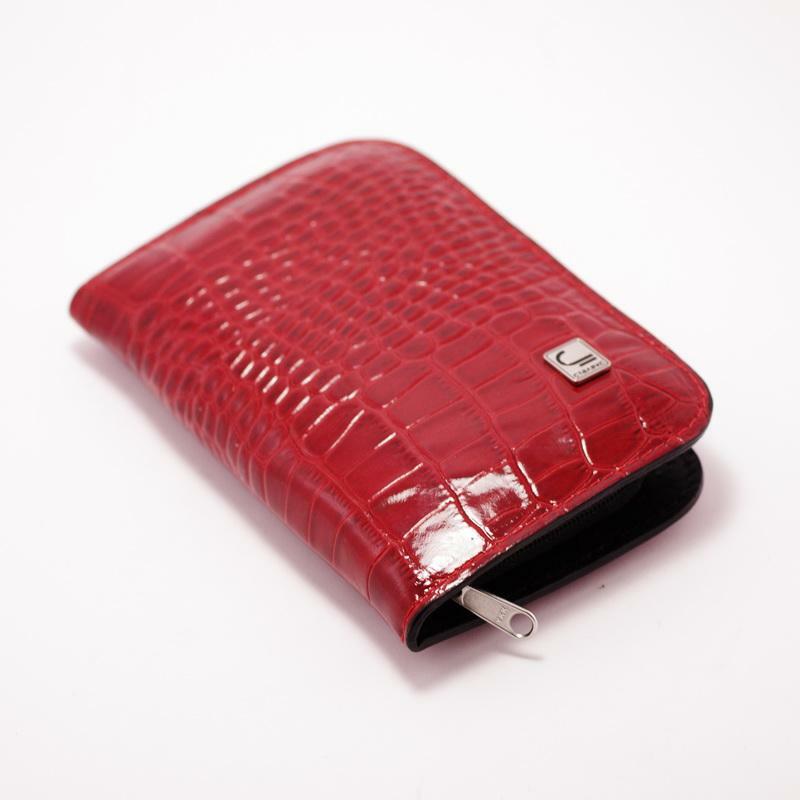 The cases have very pleasant new leather smell. 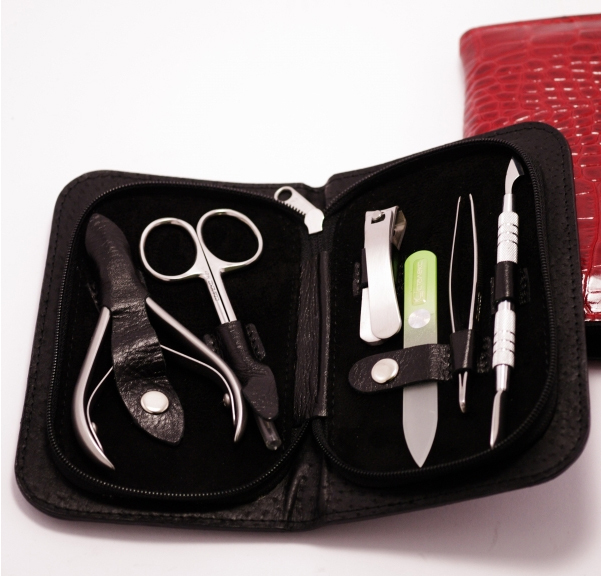 This gorgeous LEATHER MANICURE & PEDICURE SET (ZIPPER) includes 6 TOOLS. It is a must in every house. It provides you the best way to take care of your nails professionally without spending money and time at nail salons. It will find it's place in your purse, and it would also be very convenient during travel. - 1 professional cuticle nipper, produced of surgical stainless steel of 30X13 grade, good for cuticles and rough edges. 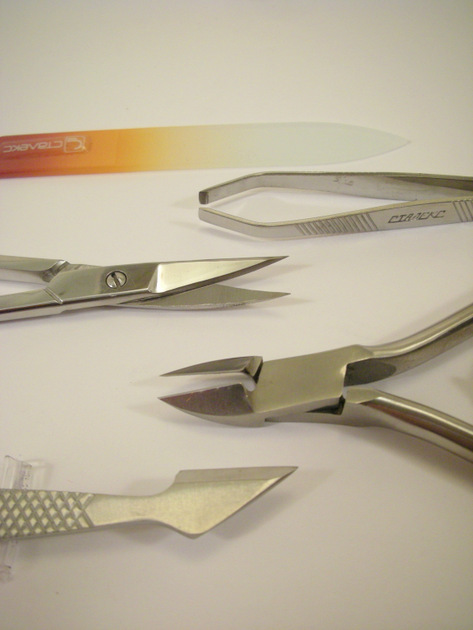 - 1 professional nail and cuticle scissors, produced of 40x13 grade surgical stainless steel. 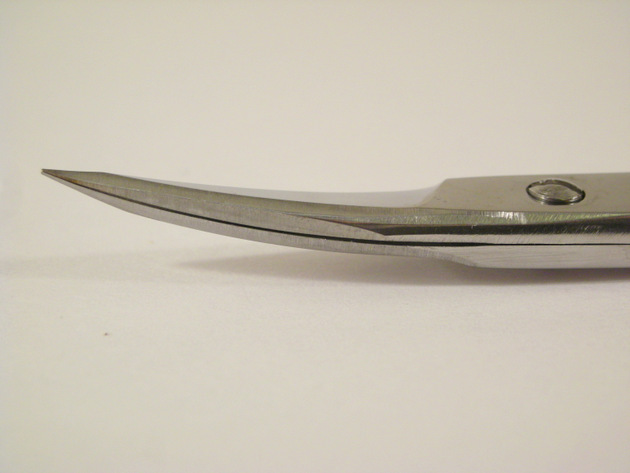 Hand sharpened, these scissors have a precise curved clearance between cutting edges. This prevents scissors from chewing of cutaway cuticle skin. convenient when used, and the thickness of steel ensures the working edges do not bend. - 1 double ended cuticle pusher, that is used for preparing the cuticles to be removed. The operating tips are produced of stainless steel of 30X13 grade used in production of medical instrument. The cutting edges of the pusher do not scratch the surface of nails. The steel is very rigid, you can not bend this tool. When used properly, the pusher never wear out. - 1 glass professional nail file. Glass file is good for natural and artificial nails. It is recommended to soak the file in water when used for artificial nail care. In addition to nail care, this file can be used to remove rough skin around nails. Glass files are the best type of files in terms of hygiene. Glass has no pores as, for instance, paper files. That is why glass file does not absorb dirt or harmful bacteria. Besides, glass is corrosion-resistant and can be disinfected with any active agent, by boiling or sterilization. If not broken, this file has a lifetime guarantee.